This past week the University of Georgia held the annual Student Employee of the Year awards luncheon. 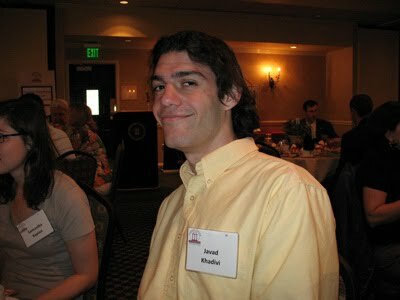 The top 100 student workers who were nominated for the award were treated to a swanky luncheon at the Georgia Center, and the Russell Library's very own Javad Khadavi made the list! Javad is a talented graphic designer who does wonders for our website and print materials, in addition to dozens of other projects, great and small, here at the archives. So congrats Javad! Here's hoping for many more great semesters to come!